This series is not going to pussyfoot around the hard realities of this world we live in; its purpose is to reveal the truths so many of us are intentionally kept from by large companies, marketing ploys, and a brainwashed society all around us. I will tell you the truth I have learned about eggs and let you decide what you’d like to do with it. Bare in mind, I’m not writing this from a place of judgment or resentment. I’m writing this as a recovering carnivore and former egg addict myself who once believed eggs were the best source of protein I could ever get, harmless to take from chickens since they made them already, great for baking recipes, and, damn, they tasted good…especially when poached. Believe me, if you eat eggs, I get it. Eggs were probably the animal product I ate the most before I went vegan. I’d often whip up a quick omelet or veggie scramble on my weekends and I’d regularly eat the microwave-perfected eggs in the crew room at work. Everyone knew my staple lunch routine: toast, spinach, chopped tomato, 2 x poached eggs, hot sauce. Giving up eggs, or at least my mental attachment to eggs, was not easy. Once I learned about veganism and considered it as a lifestyle for myself, eggs were the things I knew I’d struggle to remove from my diet the most. I just couldn’t understand what was so bad about them. Once I started digging, I found a whole heap of eye-opening, jaw-dropping facts. An egg is a product of chicken menstruation – YUCK! Let’s break down those facts a little bit more, though. We need to make sense of all of this. Animal biologists often argue if an egg is a chicken period, comparing or contrasting them to the human biological process of menstruation. Whether you want to say it’s part of a chicken’s menstrual cycle or not, we can’t deter from what the egg actually represents to the chicken. An unfertilized egg is a product of a hen’s immense energy and labor used with the intention of reproduction. Everything in an egg symbolizes life: what we see as fat and cholesterol actually has the capacity to grow into feathers, eyes, a beak, a heart, etc... and eventually, a full grown chicken. A wild hen lays 10 to 15 eggs per year and pours a tremendous amount of nutrients into each egg in hopes it will become its offspring and grow into another beautiful chicken. 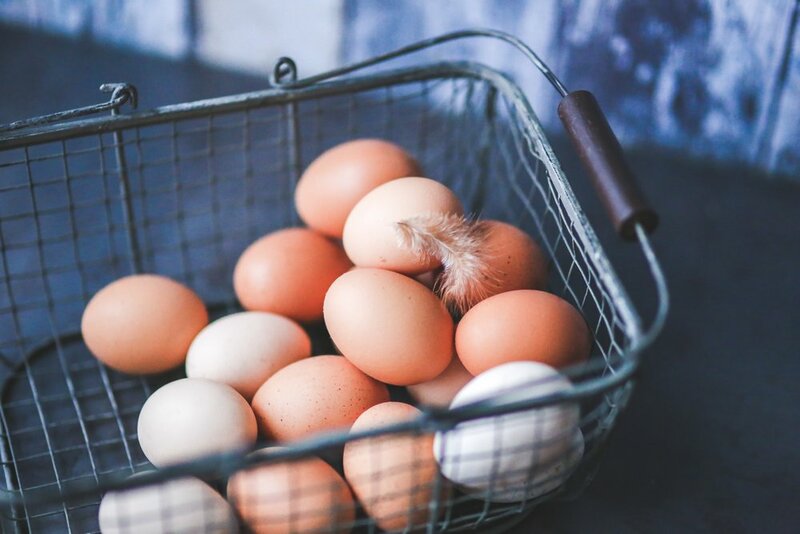 When an unfertilized egg is laid, naturally and without genetic manipulation or interference, the chicken will eat the egg to restore its nutrients, which typically contains 10% of its own calcium used to produce that egg. It may also share an egg’s contents with its baby chicks to provide them with the purest nourishment so they grow into strong cluckers. 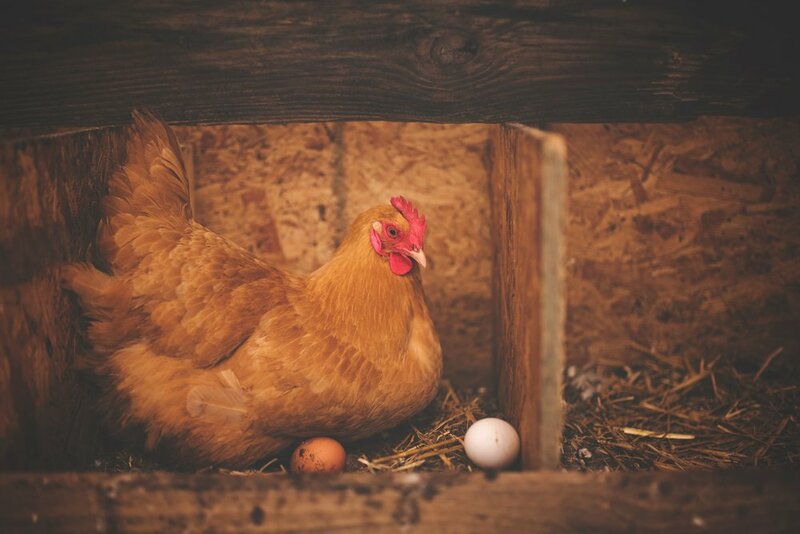 Backyard chickens keep laying eggs until they have a full nest, which means if we take their eggs, we’re encouraging them to lay more than they would in the wild and stealing from their nutritional supply used to replenish depleted calcium. According to a scientific study published by TIME magazine, the researchers discovered that eating eggs could build up as much plaque in your arteries as cigarette smoking. The damage being done to your body by consuming eggs on a regular basis can enhance the progression of atherosclerosis (eggs can oxidize the lining of your arteries) and increase cardiovascular events, cancers and heart disease. The fact of the matter is that animal products, especially eggs, are too acidic for the body. 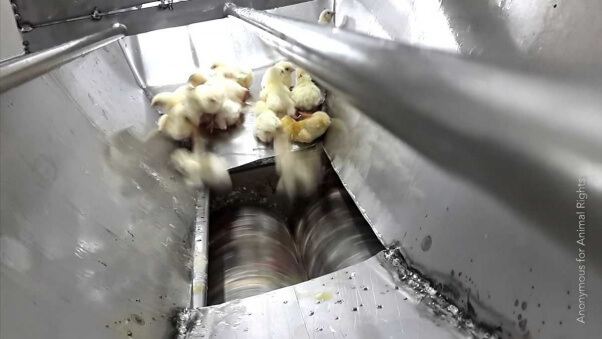 Yes, baby boy chicks are literally shredded alive or tossed into a dumpster in a plastic bag with the reset of the trash to suffocate to death because they are of no use to the egg industry. Wait, yeah… I have one more. Please keep reading. If what I’ve written so far hasn’t convinced you of the truth, consider why you may believe it’s okay, healthy, and even ethical to eat eggs. We’re all conditioned from birth by our friends & families, the brands put in front of us, and the messages constantly being pushed into our awareness from all angles. If a commercial says eggs are incredible, why wouldn’t you believe it? 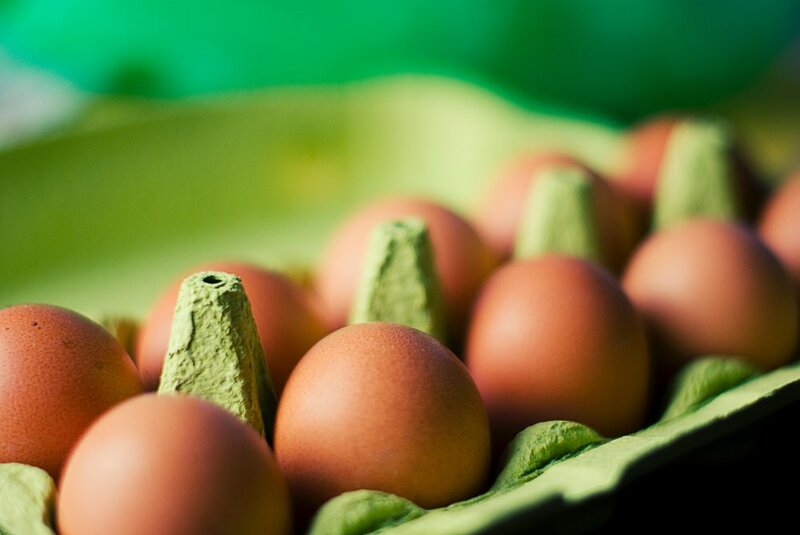 If a health chart says eggs are acceptable to eat, what would stop you from incorporating that into your diet? 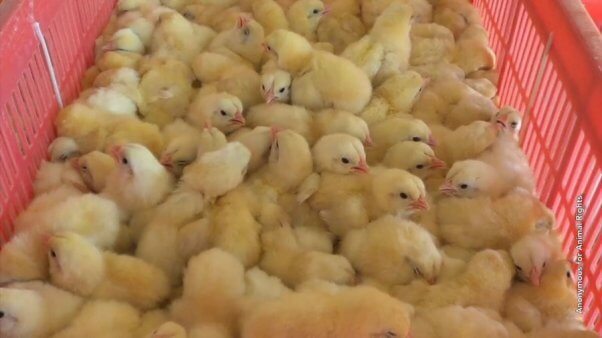 When you’re shopping, you’ll likely choose the conscientious option of free range and cage free imagining a happy, free life for the chickens whose eggs you’re eating. Let’s stop for a second. When we really look deeper, money-hungry people are behind each and every marketing ploy that tricks you into thinking eggs are good for your body, beneficial for your health, or even ethical to make themselves a dollar. They. Don't. Care. About. You. Personally, the thought of giving up eggs was harder for me than the act of giving up eggs. I have plenty of incredible breakfasts, soft, chewy cookies, delicious cakes, and freakishly good egg-free scrambled eggs all without using real eggs. I get all the protein I need from plants without being a contributor to the horrible practices of the egg industry. I know the truth isn't easy, guys, I know. But, I really hope this truth serves you well in the way it has served me. I've been totally and completely transformed by the truth. Remember, I’m not some looney tune who’s gone off the deep end and subscribed to a crazy, outlandish lifestyle. I’m a normal person like you that realized I want to live a healthier, more compassionate, conscious life and that required swallowing some big truths, but rewards you tenfold. We live in a time that options are available and alternatives can serve a much healthier and more ethical purpose. Please consider them. Please comment below how this content affected you. I’d love to know. Is it Ethical to Eat Eggs from Home Grown Chickens?